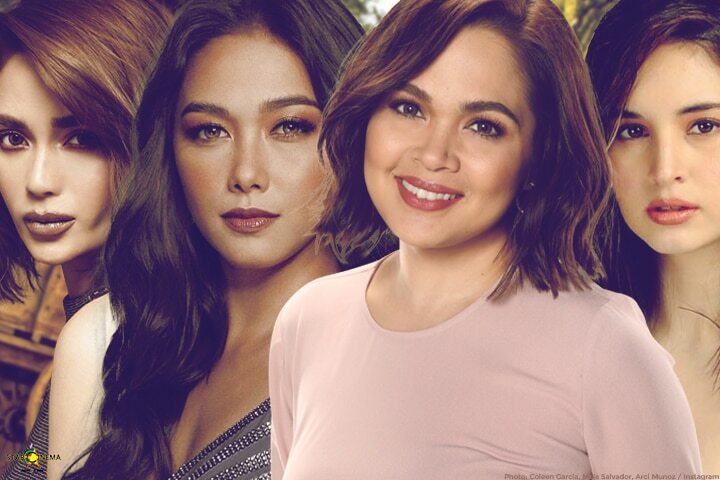 #GirlFriendsDay: Juday, Maja, Arci, and Coleen's squads - who's the fiercest of all? We say hello today, the first day of August, by celebrating the gift of friendship courtesy of the most honest creatures in our lives, our squad, who can turn from bullies to angels real quick. As the popular quote goes, "God gave us our girl friends because He knew that no mother could handle us as sisters" (yes, that is how much He loves our mothers). Just like this awesome transformation of Aurora (Arci Munoz), Genevieve (Jessy Mendiola), and Emerald (Coleen Garcia) from the movie "Extra Service" released in January 2017. We all have that girl friend who stays as low-key as possible on social media but is ready to be the fiercest as soon as she spots a hater who keeps on body-shaming our new uploaded vacay photo! How about the type of squad who thinks that the world is a runway and everyday is a fashion show? A friendship like Pre (Maja Salvador) , Ashley (Kat Alano), Kristen (Carla Humphries), and Tuesday (Denise Laurel), from the movie "First Day High" released 12 years ago, may be superficial for some yet these girls proved that there is a lot more to it than meets the eye as they flawlessly nailed their college requirements and their classy attitude at the same time. And how about a friendship that has already surpassed the test of time? Angie (Judy Ann Santos), Sandra (Kat Alano), and Catalina (Tuesday Vargas) are our reminders that we don't need a bunch of girl friends for what we need is just a number of friends we can be certain of. Need more convincing? Watch this video now! #TalkInAnElevatorDay: Intense elevator moments ng AshLloyd, JoshLia + more, naaalala mo pa ba? Movie night? Check out these 5 Olivia Lamasan films!